By Robert Woods. Designed to use during your regular rehearsals, this well-sequenced approach to improvisation is an ideal way to introduce your students to jazz. 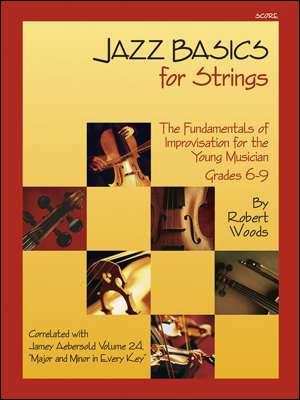 Jazz Basics covers both even eighth note and swing eighth note styles, and the conductor's score includes a CD with dozens of music examples, echo patterns and accompaniment tracks. This series is correlated with one of Jamey Aebersold's most important play along CDs: Volume 24, Major and Minor. 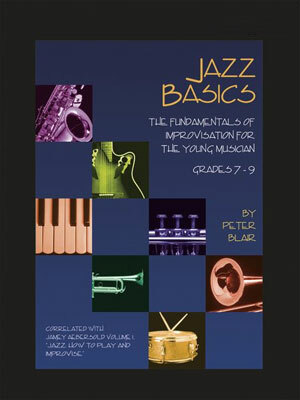 All the improvisation taught in Jazz Basics is repertoire-based. Each unit features a composition that focuses on and reinforces the concepts and skills of that unit. NOTE: If you intend to purchase only a single book for a particular instrument, it is highly recommended that you also purchase a complete score because it contains information NOT included in the separate books AND you get the demonstration CD which is not available separately.